Based in Princeton, NJ, USA, InKlaritas is a team and leadership development practice focused on helping successful individuals and organizations from around the world to uncover and leverage their hidden strengths so they can attain even greater success. InKlaritas derives its name and its mission from the Latin "claritas" or "clarus", meaning clearness and the German "klar" also meaning clear: we enable our clients to gain the clarity and the insights that create the results they seek. Ken brings over 23 years of experience as a certified coach and trainer to his signature practice of rescuing Accidental Leaders and Dysfunctional Teams. By enabling them to connect, communicate and collaborate more effectively, they form stronger, more resilient individual relationships, which in turn enables them to build stronger, more productive organizations. As CEO of InKlaritas, Ken works with a diverse mix of US and international companies across a wide range of industries. That range of experience enables Ken to cut through the clutter to help his clients identify the critical keys to enhancing their effectiveness and improving their productivity and to translate their abstract visions into concrete results. Clients experience Ken as centered, engaged, and optimistic; at the same time, his work is grounded, realistic, and practical. He creates an open, inclusive environment that makes it safe for participants to tackle difficult issues that may be outside their comfort zone. Ken approaches even the most difficult situations with good humor and a smile. Whether he is working with individual contributors and front-line supervisors or members of the C-Suite, he tailors his approach to their specific needs rather than applying a “one size fits all” mindset. A pioneer in the 360 Degree Feedback process, Ken has coached hundreds of senior executives in bridging performance gaps so they can create long-term success for themselves and for their organizations. Ken continues to be part of the leading edge of the personal and professional development profession. Ken is one of a few consultants worldwide to be Certified in Conversational Intelligence® (C-IQ), a revolutionary methodology that leverages the power of neuroscience to elevate performance and create lasting change for individuals, teams and entire organizations. Ken is an active member of the Princeton Regional Chamber of Commerce, the Philadelphia Society for People and Strategy (PSPS), the National Speaker's Association, and is Chair of the Princeton Executives subgroup of Beacon – Networking for Life. Ken also serves on several non-profit boards such as Mercer Street Friends, and Learning and Development Professionals of Greater Philadelphia. He is currently President of the Board of Directors for the Friends Camp Association of Pennsylvania. Ken is a sought after speaker and has presented at a variety of organizations including: American Society for Quality (ASQ), Association for Talent Development (ATD, formerly ASTD), Learning & Development Professionals of Greater Philadelphia (L&D Philadelphia), Organizational Development Network (ODN), Philadelphia Society for People & Strategy (PSPS), Society for Human Resource Management (SHRM) and many corporate conferences. He is an instructor at Drexel University and Rutgers University. He has also appeared as a guest on Comcast Network’s Money Matters and ABC's Good Morning America. Connect with Ken on LinkedIn and follow him on Twitter. InKlaritas has a worldwide network of expert consultants, coaches and facilitators so we can match the right talent to the specific needs of our clients. Marc is the Founder of Strategic Sales Advisory, a consulting firm providing sales and revenue leadership, growth and due diligence solutions to clients across a wide range of industries. Prior to founding Strategic Sales Advisory, Marc spent more than 30 years in leadership roles driving revenue, strategy and process from small to large technology companies, including Unisys, Data General, Sybase and Good Technology. Teams managed ranged from small regional groups to large-scale world-wide responsibility. An accomplished sales leader, communicator and motivator, Marc delivers results while building top performing teams and enduring customer relationships. Marc’s in-depth experience includes building and managing sales teams to over-achievement across a wide range of vertical industries, re-engineering processes for improved results, and mentoring individuals and teams to success. Marc's desired impact is to make a difference in the lives of his clients and their employees. Marc and his family live in Newtown, PA. He also spends time advocating for and assisting caregivers with the challenges of caring for loved ones and families. Jamie Cooperstein's passion is delivering great service. As CEO of J. Cooperstein Hospitality Consulting, LLC, she helps customer-facing employees across the region to make lasting impressions. Jamie has extensive experience in the hospitality industry. 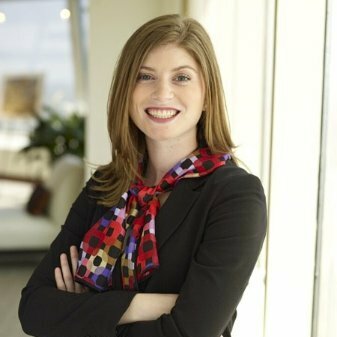 As Director of Concierge Services for Madison Parke, a boutique property management firm, she played an integral role in implementing lifestyle services at their portfolio of luxury high-rises. She also served as a Concierge at the AAA Five-Diamond award winning Rittenhouse Hotel and Condominiums in Philadelphia. Jamie has obtained her Master’s degree in Tourism and Hospitality Management from Temple University. She is an adjunct instructor at both Drexel University and Delaware County Community College. Cathy is a trusted adviser to senior executives and leaders at all levels. For 35 years as a senior HR executive with a Fortune 200 global industrial manufacturing company, she has coached and mentored individuals through career and role transitions, helped them build high-performing management teams and then align those teams with organizational strategy. As Co-Founder of the Women’s Leadership Council for Saint-Gobain Corporation, Cathy developed a grass-roots, formal and informal mentoring program which was later adopted for all leadership in the North America organization. Cathy continues to influence new and emerging leaders by teaching the “Leader as Coach and Mentor” course at Arcadia University which develops undergraduate students in the Business Leadership Program. Cathy was a senior HR executive for Saint-Gobain Corporation for 35 years . She is also an Adjunct Professor to Arcadia University and serves as a member on the “Managing Human Capital” Advisory Board of St. Joseph’s University. Mona Kay is an accomplished Learning and Development professional with 16 years’ experience at several major pharmaceutical corporations. She specializes in sales training, compliance training, training strategy and implementation; and product sales. She also has a strong clinical background which includes 11 years at a major New Jersey university teaching hospital, and board-certification as a Medical Technologist (ASCP). Mona Kay combines her passion for learning and development with her broad experience identifying clients' needs so she can implement solutions that get results. An experienced speaker and facilitator, she excels at delivering training, including “train-the-trainer” sessions which empower others to communicate business-critical information. Mona Kay draws on her deep knowledge of virtual and blended learning to provide webinars, workshops, and other types of online sessions to ensure learning transfer. By keeping client needs at the forefront and aligning with organizational strategies, Mona Kay proposes effective solutions that cause minimal disruption to business-critical activities. She excels at launching initiatives from start to finish including gaining stakeholder buy-in, communication at all stages, execution and pull-through which drives sustainability. Mona Kay lives in Hopewell, NJ where she enjoys the local coffee shop and browsing for antiques. She has two children and a beautiful border collie – all three are incredibly beloved, one is also a bit spoiled. 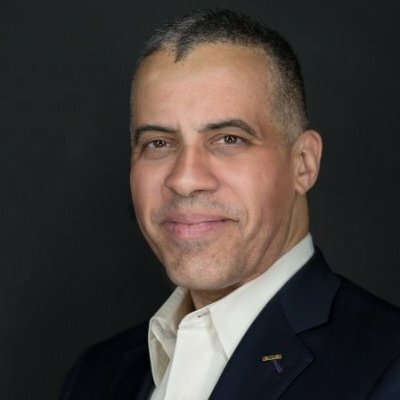 Larry Sharpe is the Managing Director of the Neo-Sage® Group, Inc. He provides executive coaching, management consulting and training for professionals in many industries including: finance, technology, media, real estate, luxury and healthcare. He has coached and trained hundreds of entrepreneurs, executives, sales people and customer service reps from dozens of companies all over the United States. He is also a professional speaker and has spoken at dozens of venues to a wide variety of audiences. He has a varied background which began in the United States Marines. There Larry spent time in Artillery, Marine Air and Military Intelligence. He was a member of the PRP program where he held a Secret security clearance and was a multiple-award “Expert” Marksmanship Coach. As a Marine he was able to travel throughout East Asia, including Japan, South Korea, China, Hong Kong (prior to reversion to China) and the Philippines. After almost seven years of active duty and an honorable discharge, Larry became an English teacher and Chief Instructor for a private Japanese school, the World Educational Center. In addition, he was the English Coordinator for the Japanese Government’s facility, The Okinawa International Center. Back in the US, he started a local trucking business. Once launched, he left to work with the former NYC Police Chief, Bill Bratton, in corporate sales of pre-employment screening and background investigations, selling primarily to large public companies with a focus on the Finance industry. After a few other sales positions, he started his second business, Prime Distribution Inc., a company that sold several manufacturers’ products into individual health food stores and franchised GNCs. He sold this business after two years and joined the sales force at WOR Radio selling ad time and radio promotions. Larry founded Neo-Sage®, his third business, in 2004 and he’s been working with top tier professionals ever since. He has a Bachelor’s Degree in Anthropology from the University of Maryland and lives in NYC, with his wonderful wife that he met in high school and two daughters.